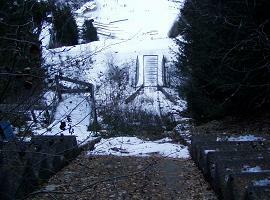 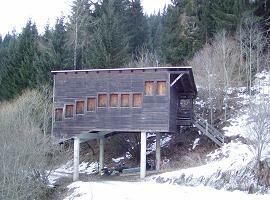 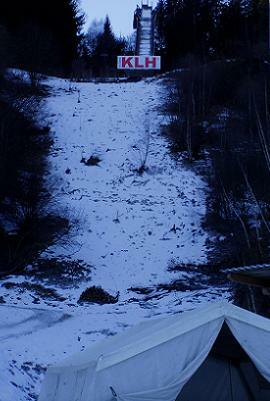 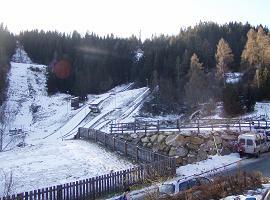 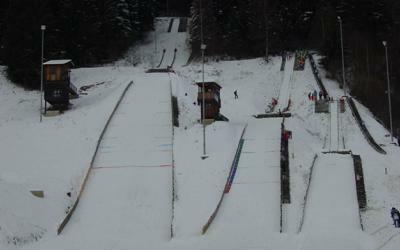 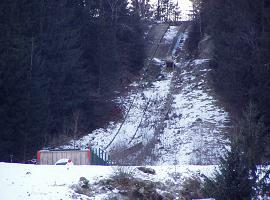 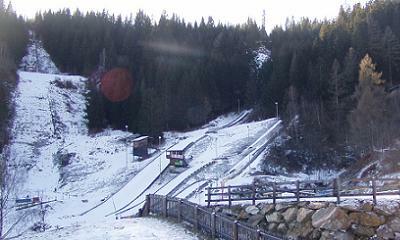 At Murau in Styria the very first ski jumping hill was build up in 1933 with Thurnhofer-Schanze. 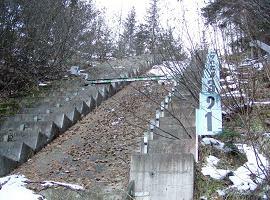 Then in 1936 Gumpold-Schanze was inaugurated, on March 8 Norway’s Bjarne Karlsen won with 56 meters. 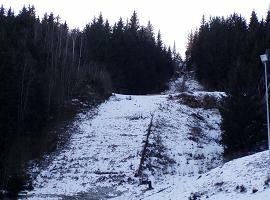 After Wolrd War II there were two attempts to get Nordic Skiing WSC on Mur river, but these failed. 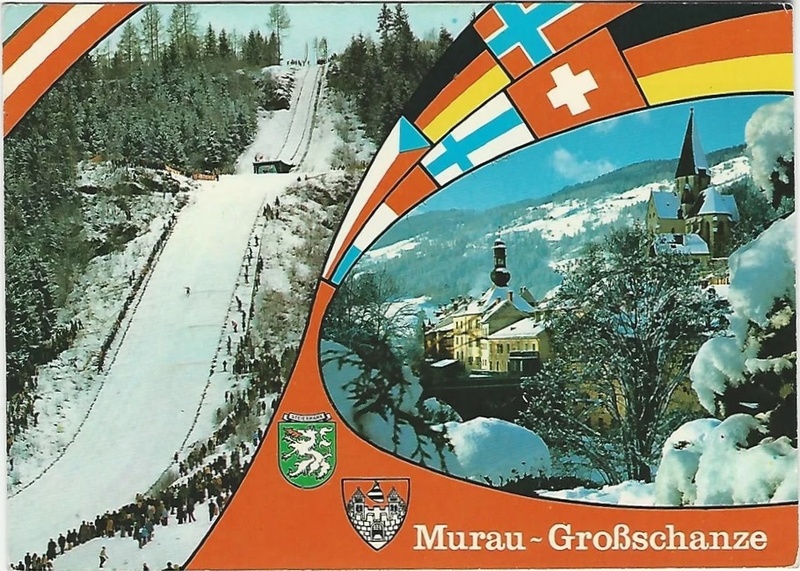 Instead in 1978 and 1982 the Gumpoldschanze was host of Junior WSC competitions in Murau, on 1982-03-03 Ernst Vettori won the title in his home-country there on the former 70 meter ski jump. 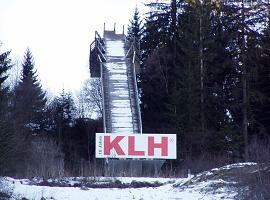 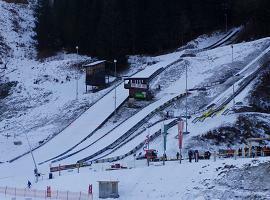 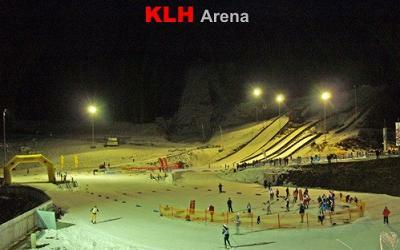 Later the K85 and afterwards also Hans-Walland-Großschanze were hosts of World Cup competitions of specialized jumpers and Nordic combined. 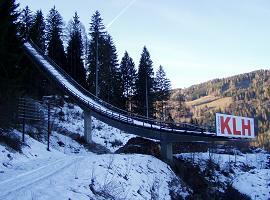 The only ski jumping World Cup in 1994 was won by Noriaki Kasai. 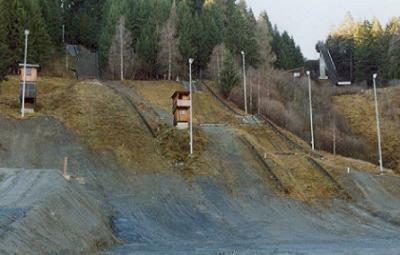 The last combined World Cup took place in 1996, winner was Mario Stecher and Bjarte Engen Vik jumped the last hill record. 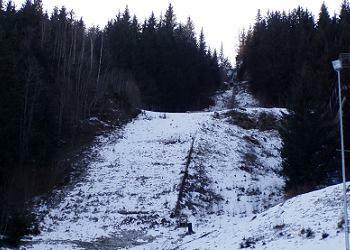 Today both larger ski jumping hills are out of order. 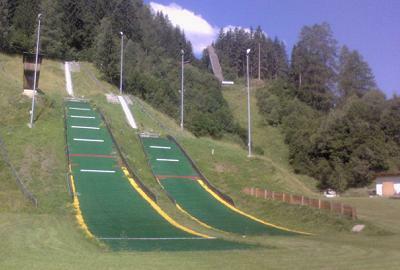 The Schülerschanzen were dilapidating, but in 2005 even the K35 and K20 were covered with new plastic mattings. 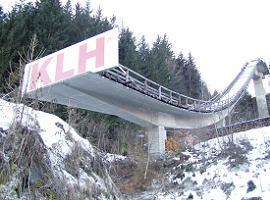 In 2007 the inrun of K60 was made out of concrete and the profile renewed. 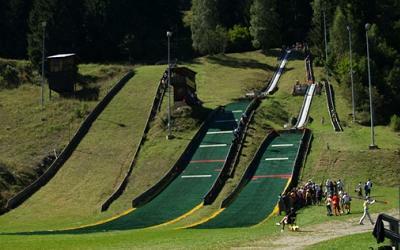 If possible also this jump will be covered with plastic mattings.